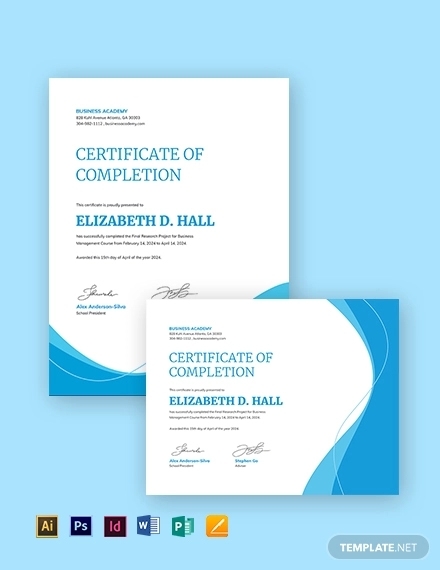 Certificates are often used to certify that a person has attended or completed something. 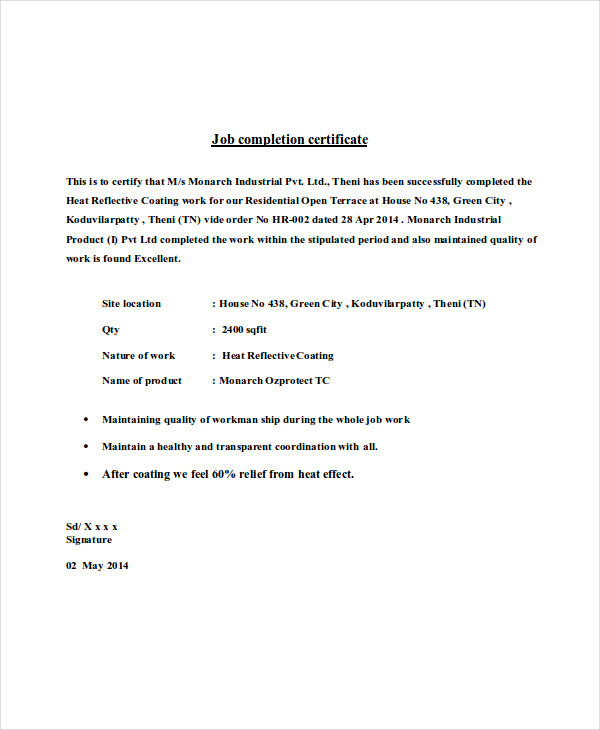 They are also used to recognize one’s achievement for certification or efforts. 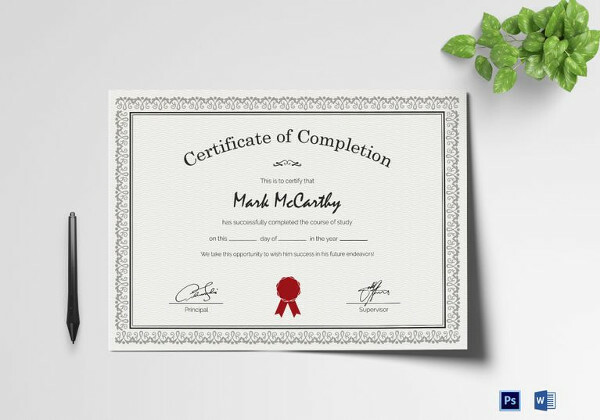 We might have earned a few certificates during our lives, and honestly, it makes us proud. 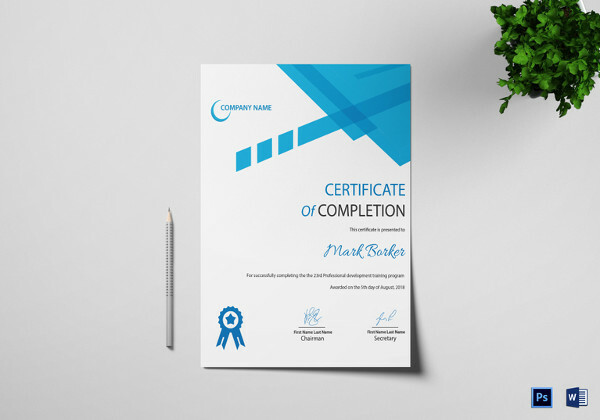 However, designing a certificate is a whole different process. 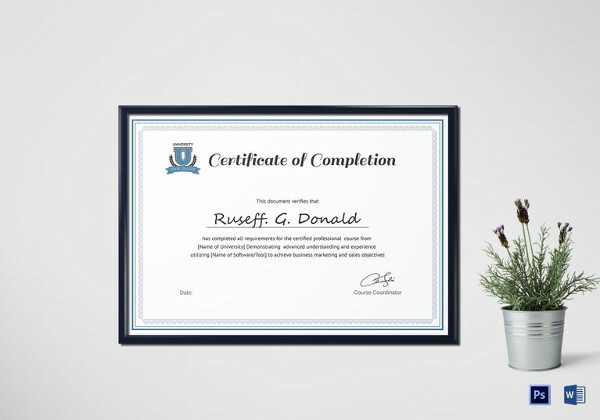 Designing a modern certificate of any kind may sound easy. You just have to find a template that matches the ceremony or the award, and viola, you’re done. 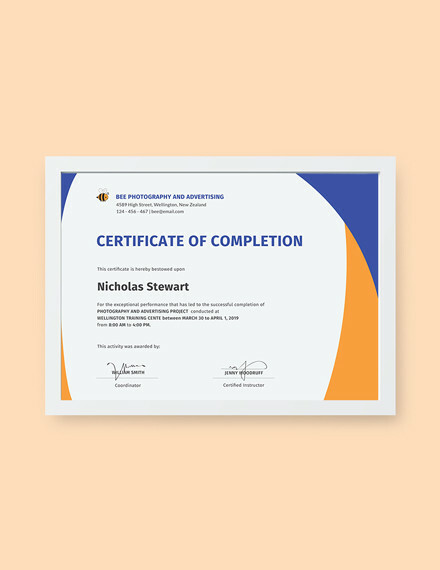 If you’re here to know more about certificate of completion, or learn how to craft one (or any certificate like a digital certificate, for instance), read more. 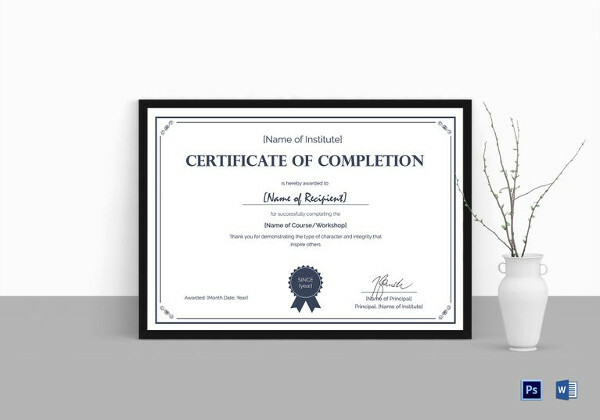 What Is a Completion Certificate and Why Is it Required? 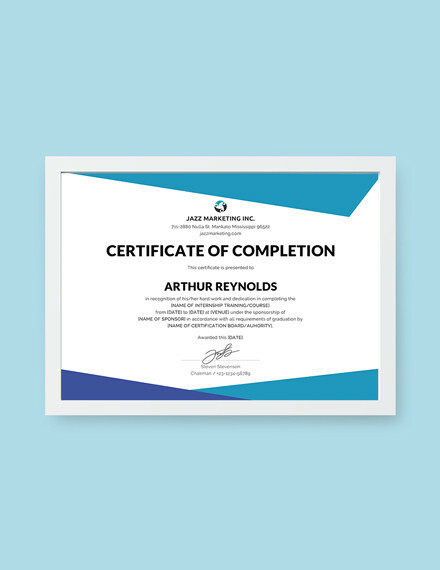 A certificate of completion, in the broadest sense, is a proof that something is completed or that someone has completed something. 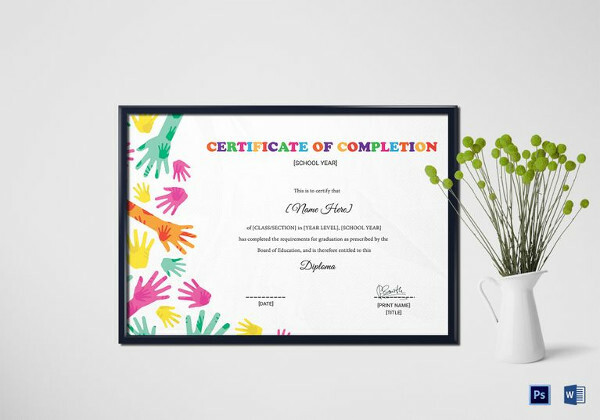 In education, completion certificates are required to certify that someone has completed high school (all four years of it) but has, in any way, failed to meet the requirements needed for graduation. 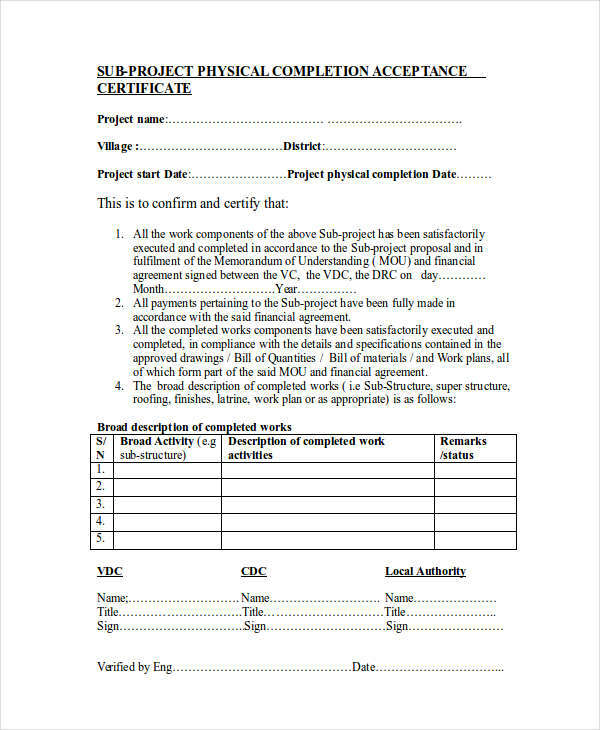 In the construction industry, completion certificates are required to prove that a specific construction project has been completed according to the given rules, standards, and specifications. 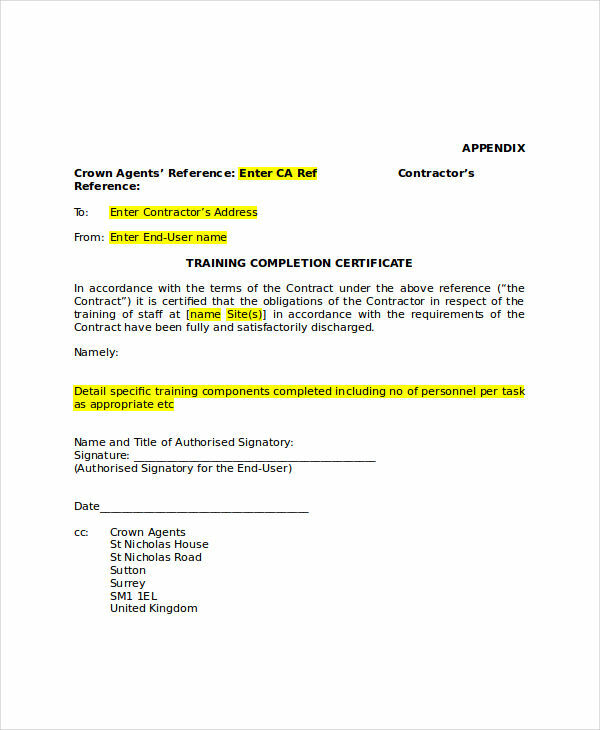 You might want to take a look at some certification examples in doc format for your convenience. 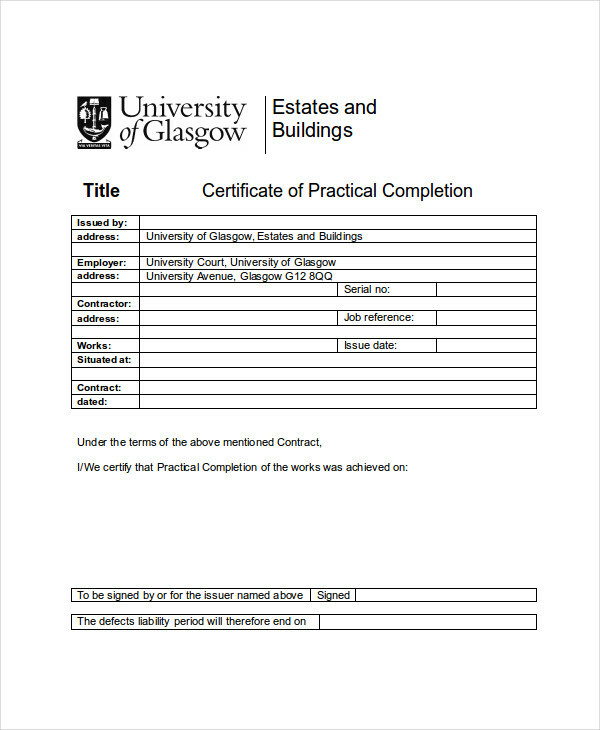 It is common to confuse the difference between an occupancy certificate and a completion certificate. So let us learn the difference to avoid further confusion. 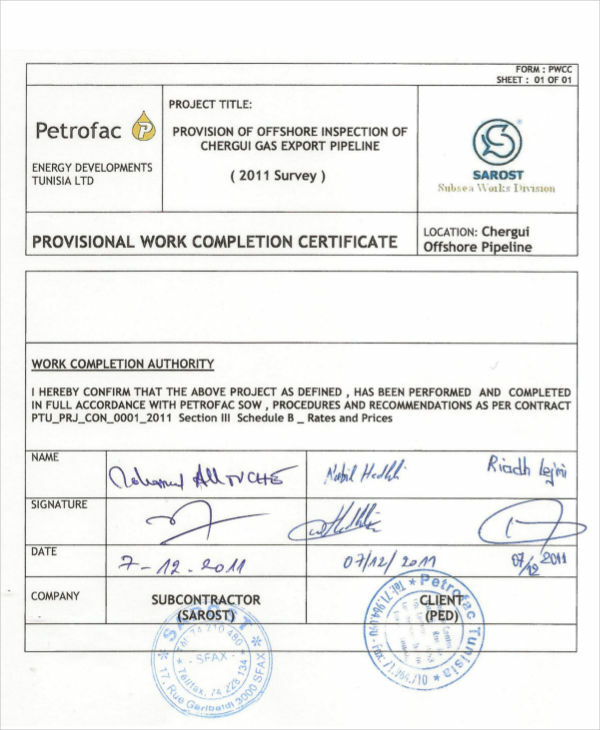 You may also use some certificate examples in PDF format for your observation. 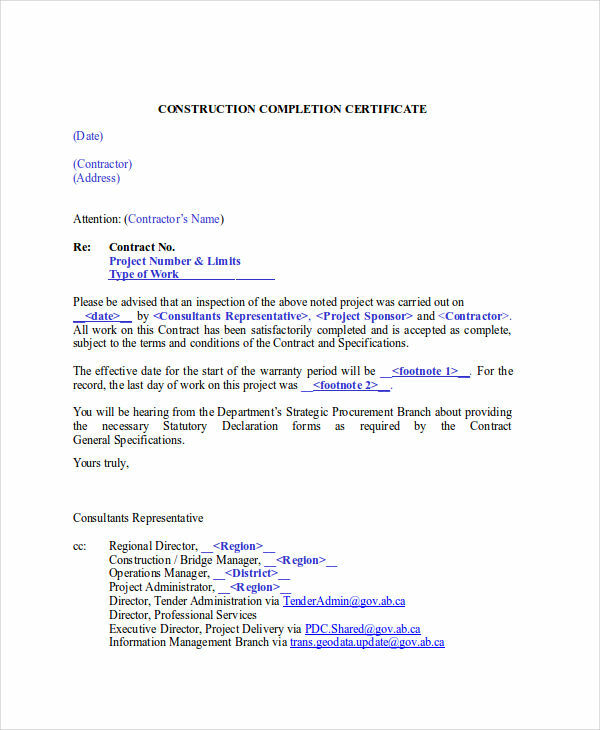 This is used to attest that a construction project has been completed, met the standards given by the proper authorities and that upon the completion of a construction project, no term or condition has been violated. 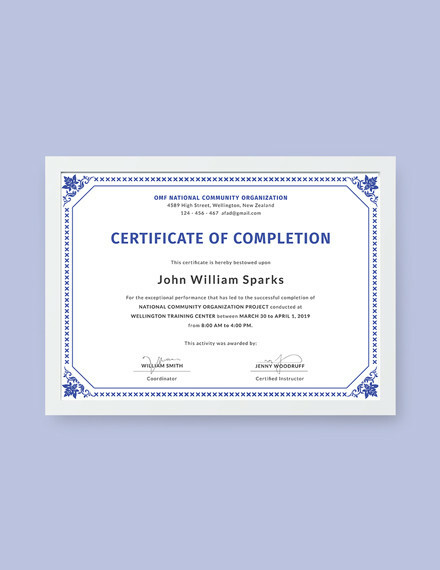 You may also like examples of certificate of achievement. 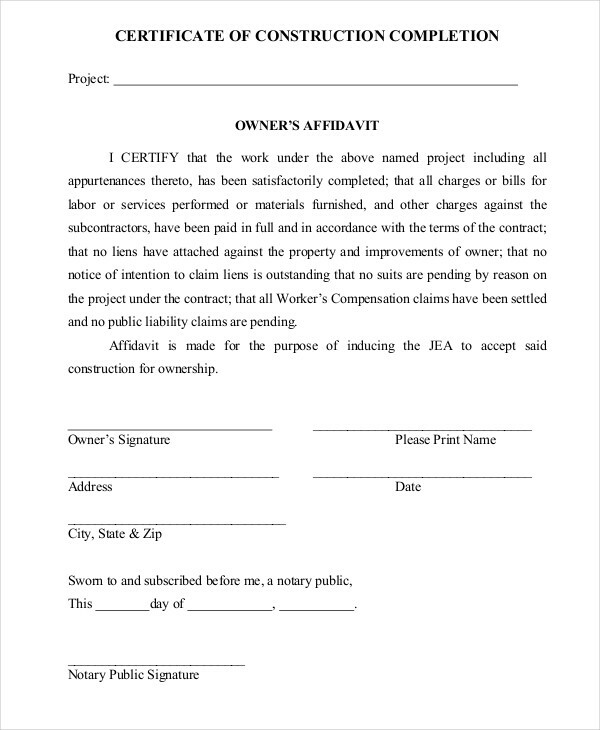 This also serves to certify that a construction project plan(usually a building), has met the required standards, with no reported violation of law, and is safe to occupy. This serves to prove that there is no objection of building occupancy from the proper authorities. 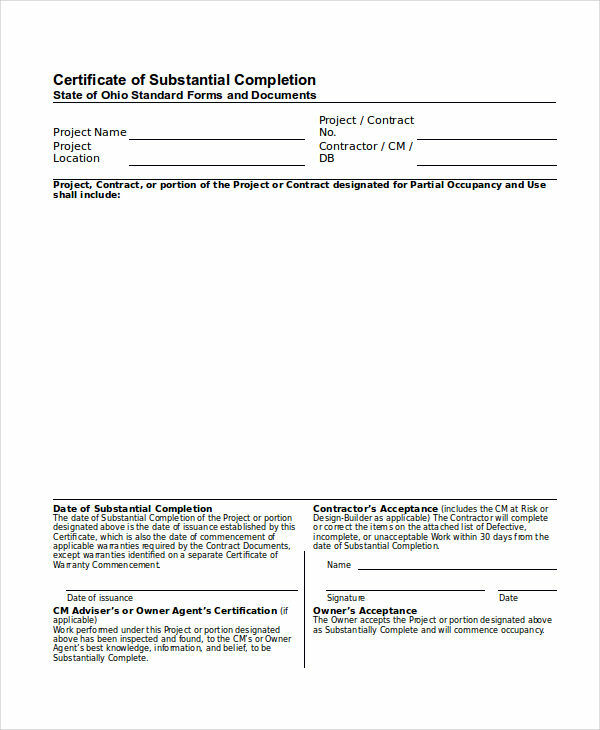 Completion certificates (in construction) contain all the details of the construction project, including project name, project contract number, name of contractor, land identification and location, statement claiming no violation of standards and regulations, measured distance (in figures and/or words) from the road and surrounding buildings, building plan and criteria set by the proper authorities, and other construction details. 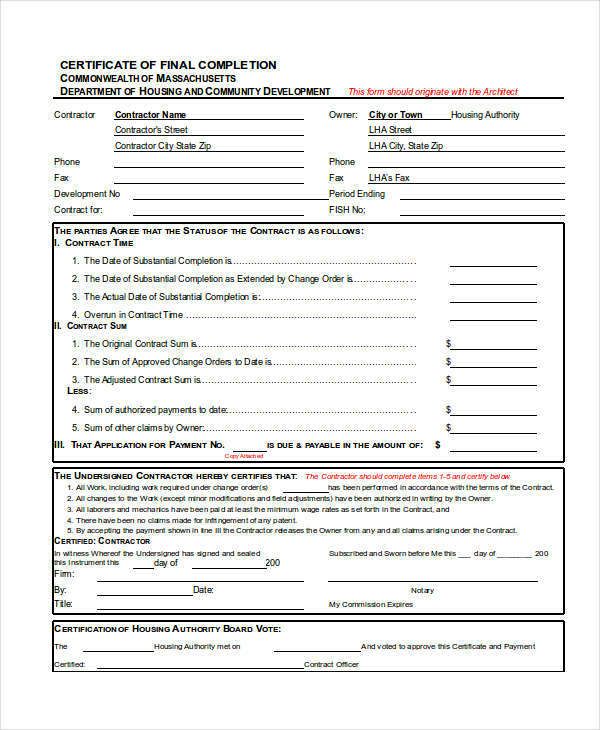 You may also see what is an academic certificate? 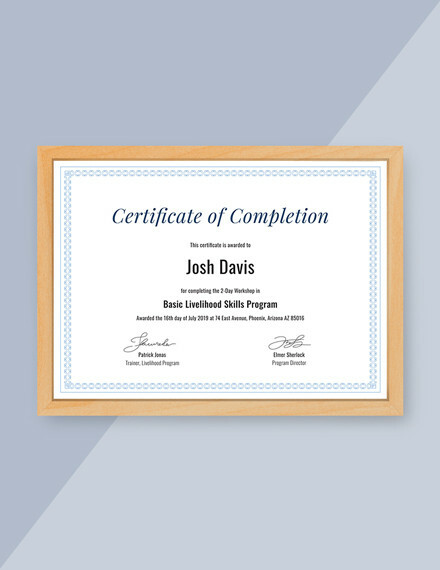 If you want to design your own completion certificate, the following tips might help you. 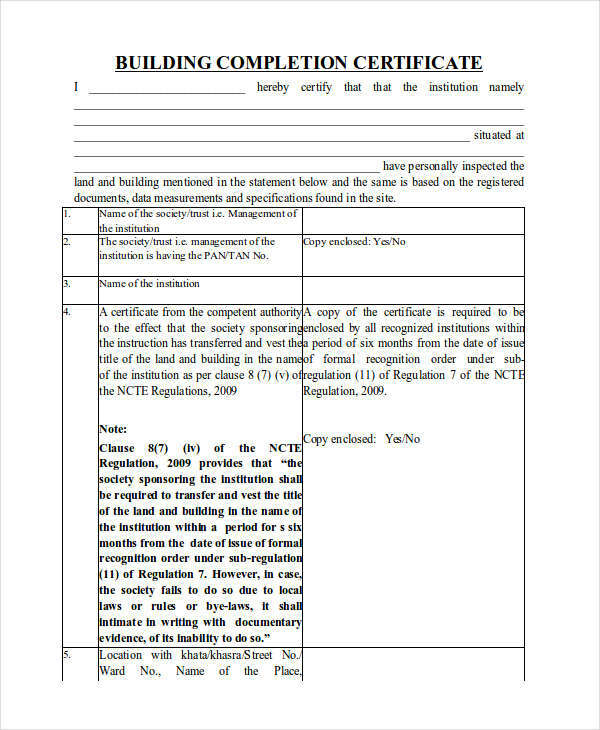 Conveniently, these may also be applicable to those who want to craft their own certificate. 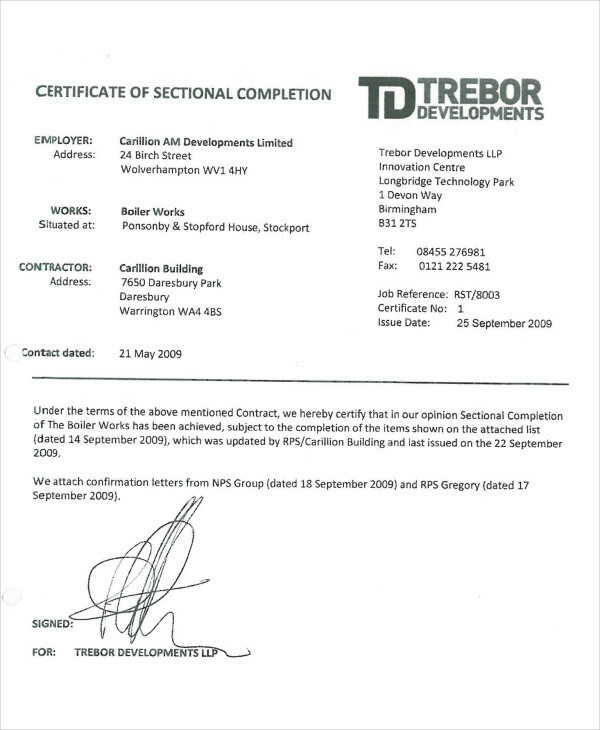 This will become your certificate title or heading (e.g. 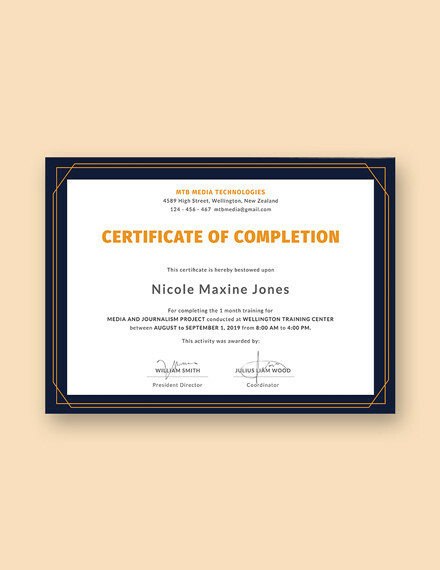 graduation certificate). 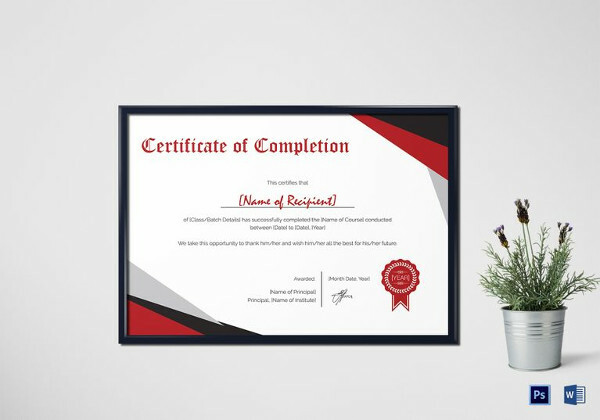 Themes usually depend on what type of certificate you are planning to design. 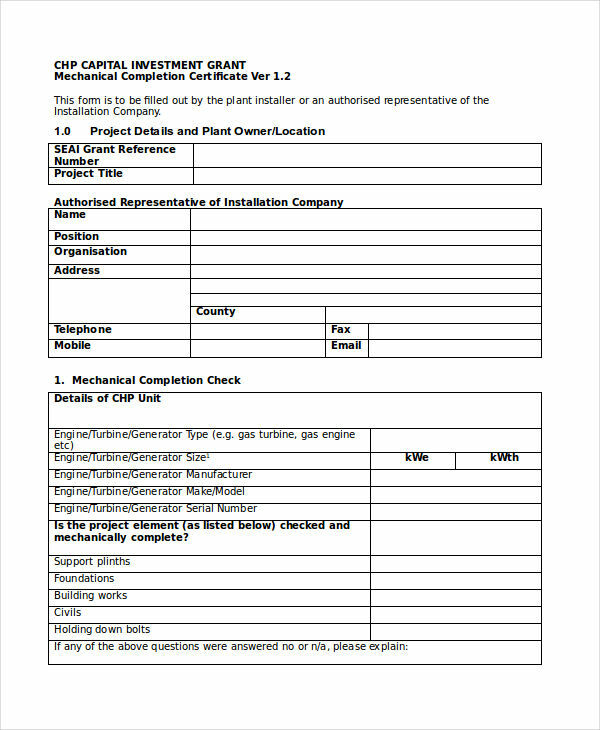 You may also like examples of certification of participation. 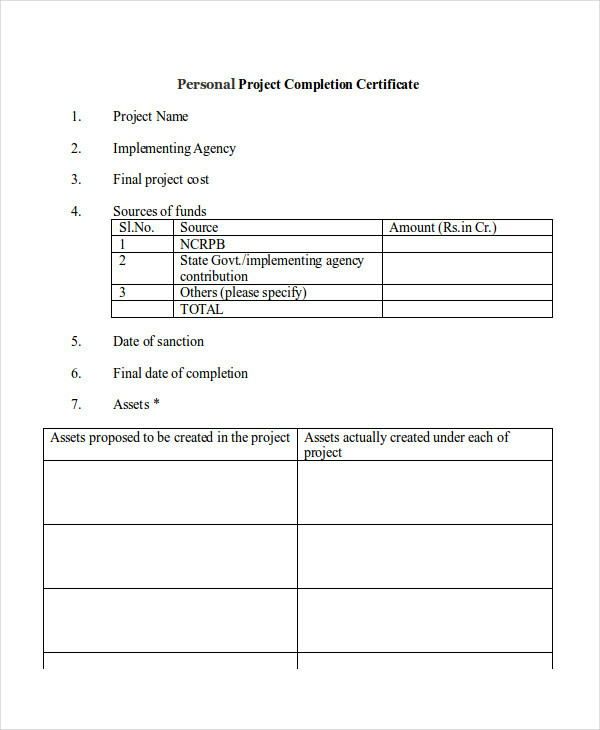 Determine the appropriate template for you certificate. 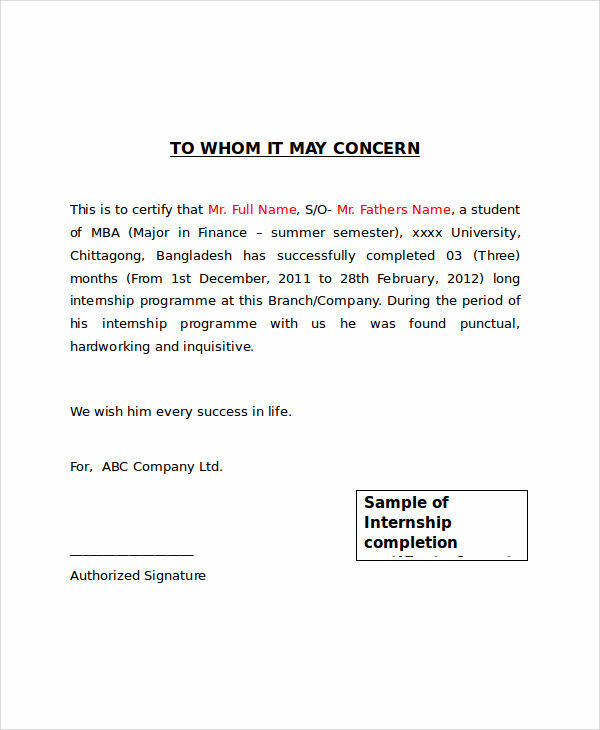 Write all the necessary details of your certificate. You may add a few things you deem necessary. 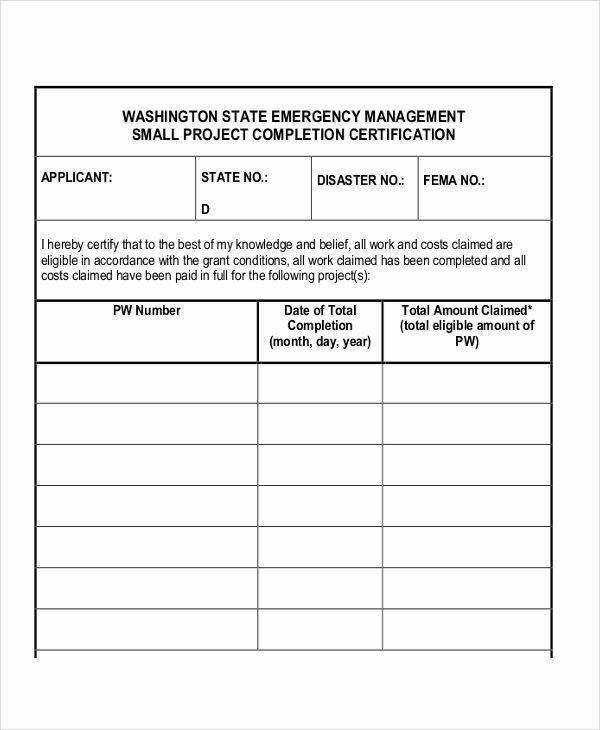 You may also check out salary certificate examples. Look for errors and missing pieces of information. Add whatever you must, and remove everything unnecessary. 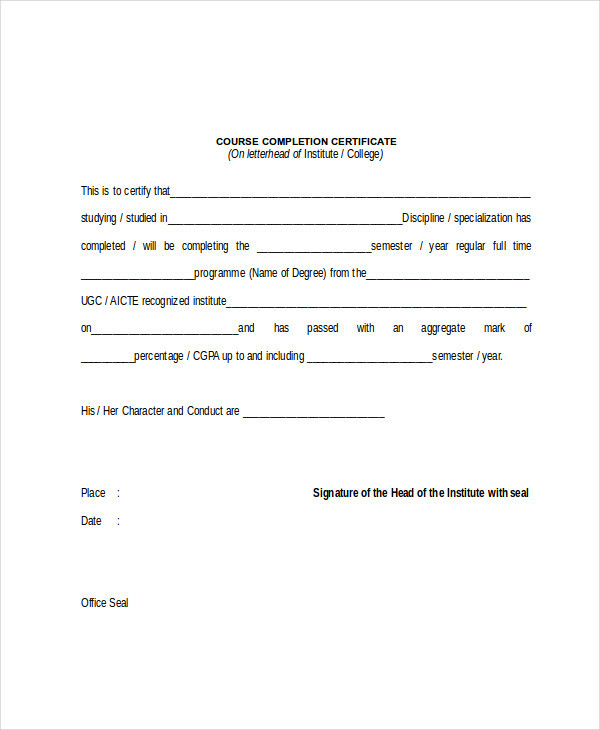 The last thing you want is an invalid completion certificate template and example, so let the proper authorities sign it.